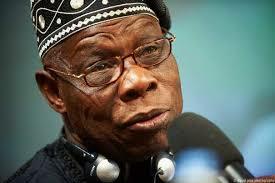 BNW Blog | BiafraNigeriaWorld: The Vandal Wants to Be the Rebuilder: Obasanjo's Clarion Call for Bla, Bla, Bla, etc. The Vandal Wants to Be the Rebuilder: Obasanjo's Clarion Call for Bla, Bla, Bla, etc. in the village, to make sure that lice die, you put them between two fingernails and press hard to ensure they die and they always leave blood stains on the fingernails. To ensure you do not have blood on your fingernails, you have to ensure that lice are not harboured anywhere within your vicinity.